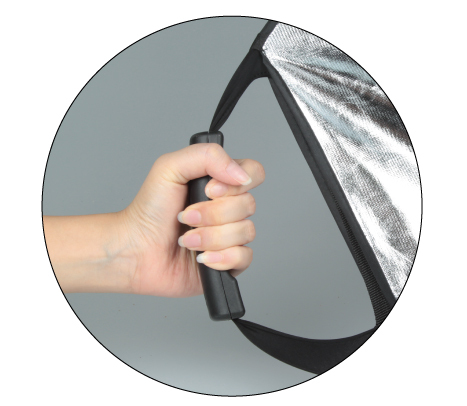 The 5-in-1 Collapsible Grip Reflector is the most versatile reflector you'll use in the studio, or out on location. Use the reversible zippered slipcover to select your choice of color based on the current lighting conditions to suit your lighting needs. 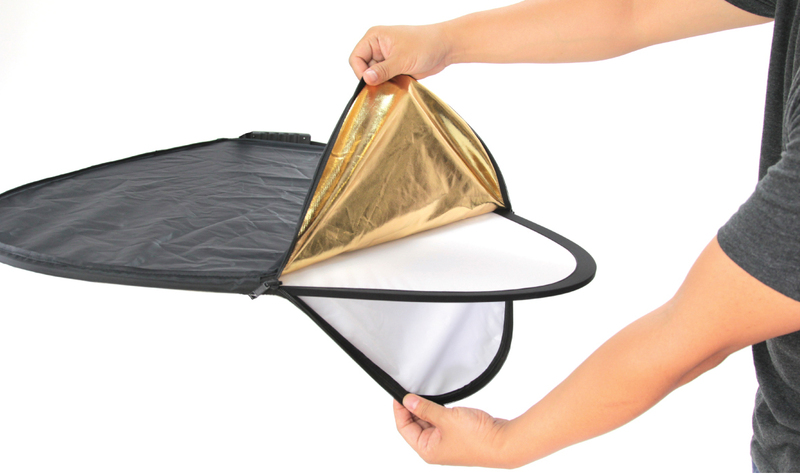 The 5-in-1 Collapsible Grip Reflector comes with 5 different surfaces: Translucent White, Black, Gold, Silver, and White. It is perfect for softening your light source. Soften your light source by placing the diffuser between your light source and your subject for a wraparound effect whenever a softer light is needed. It is used to block unwanted light or create shadows to provide negative fill. 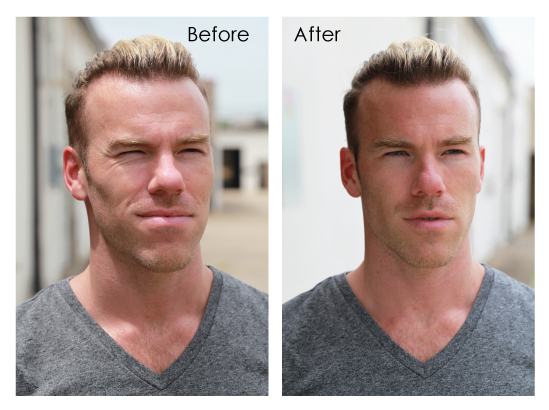 It allows you to fill in unwanted shadows, while adding warmth to skin tones. 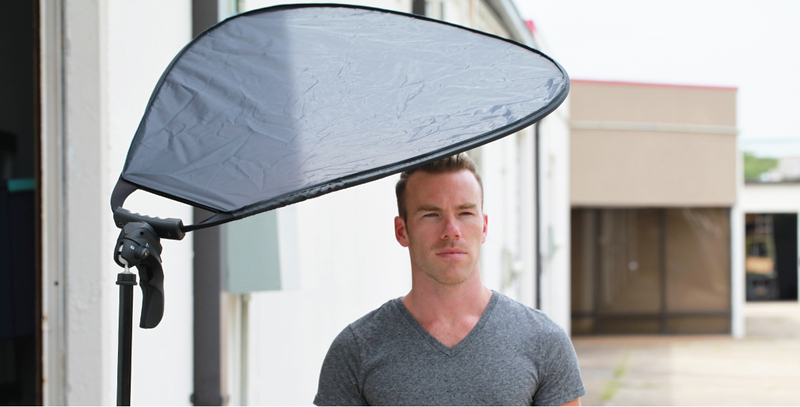 It produces a natural, warm fill that is great for sunsets, jewelry, and indoor portraits. It is very reflective and brightens both shadows and highlights that produces high contrast images. 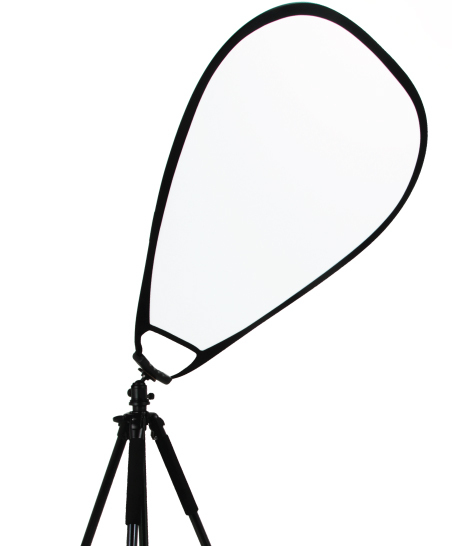 It produces an even, neutral-colored bounce light that works as a great fill light source. 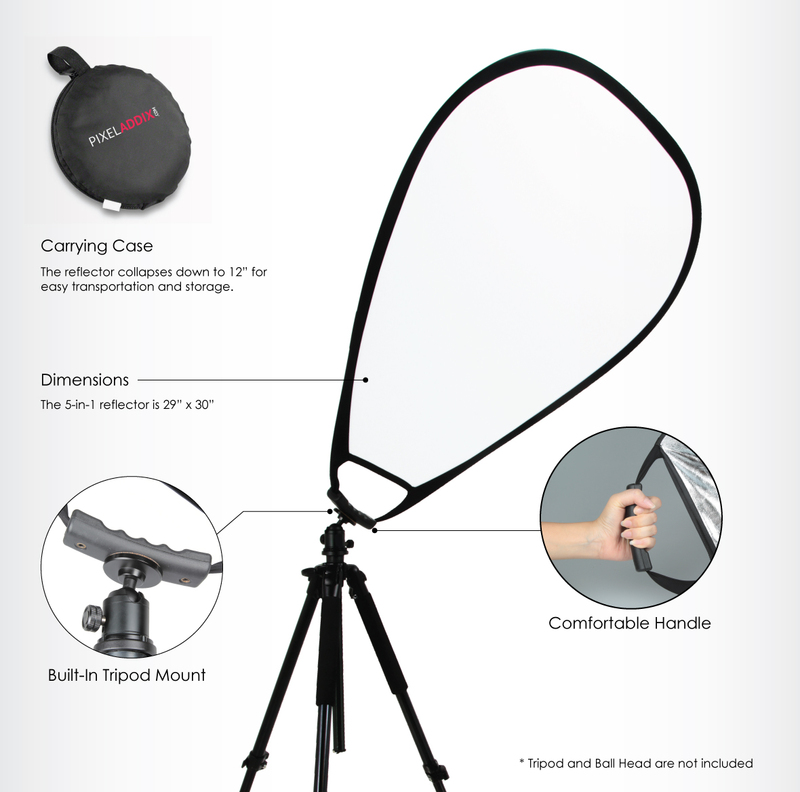 Instead of having an assistant to hold your reflector, you can use your tripod to hold the reflector in place with the built in 1/4”-20 tripod mount in the handle. Maximize the equipment you have without having the need for additional accessories. 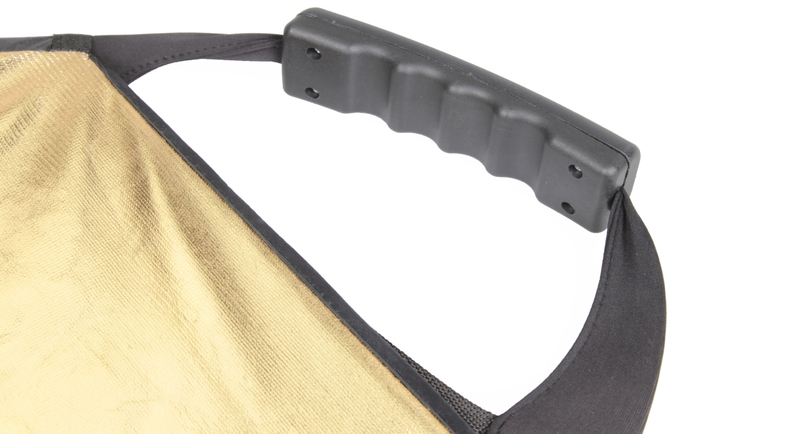 The built-in handle makes it easy to position the reflector where you need it. 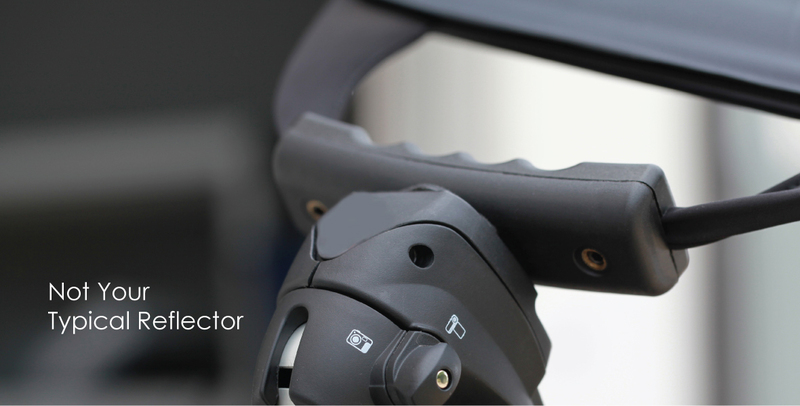 The handle is ergonomically shaped to allow for comfortable use, even for the longest shoots. 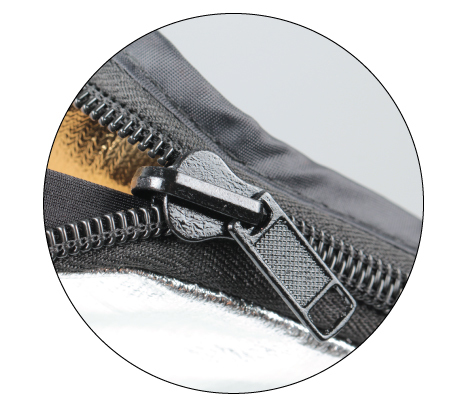 The 5-in-1 Collapsible Grip Reflector maintains its compact design through using a reversible zippered slipcover. Quickly choose your preferred surface to achieve the look you want.